Herbals are not true teas. Caffeine-free beverages are hotter than ever as more and more tea drinkers search for a satisfying alternative to lackluster decaffeinated teas. These drinks are called herbals, infusions or the French term tisanes. These natural blends are not true “teas” because they contain no tea leaves, but they do have a history as old as the tea leaf itself. 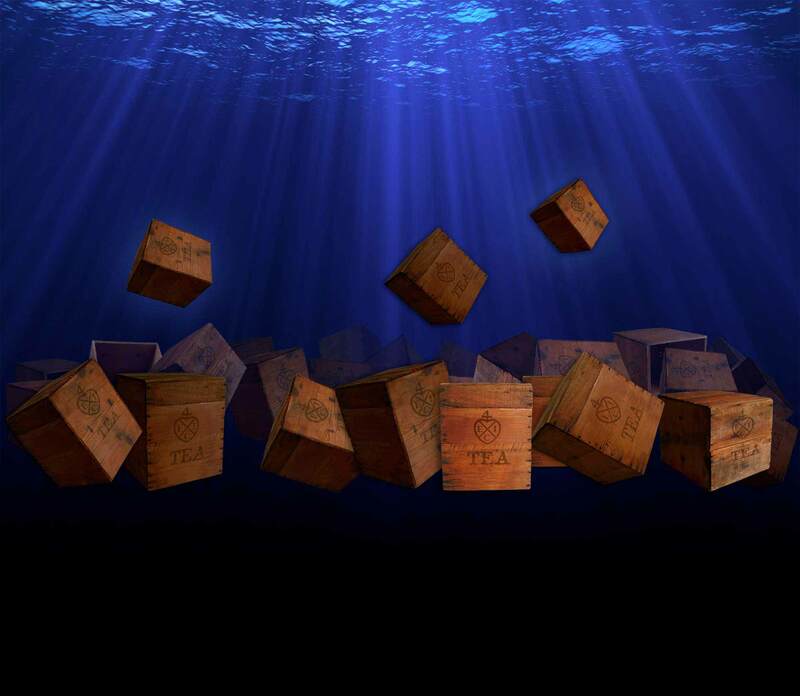 Soon after the tea dust settled across Boston Harbor on the night of December 16, 1773, colonial women organized a campaign to ban English tea from every household. 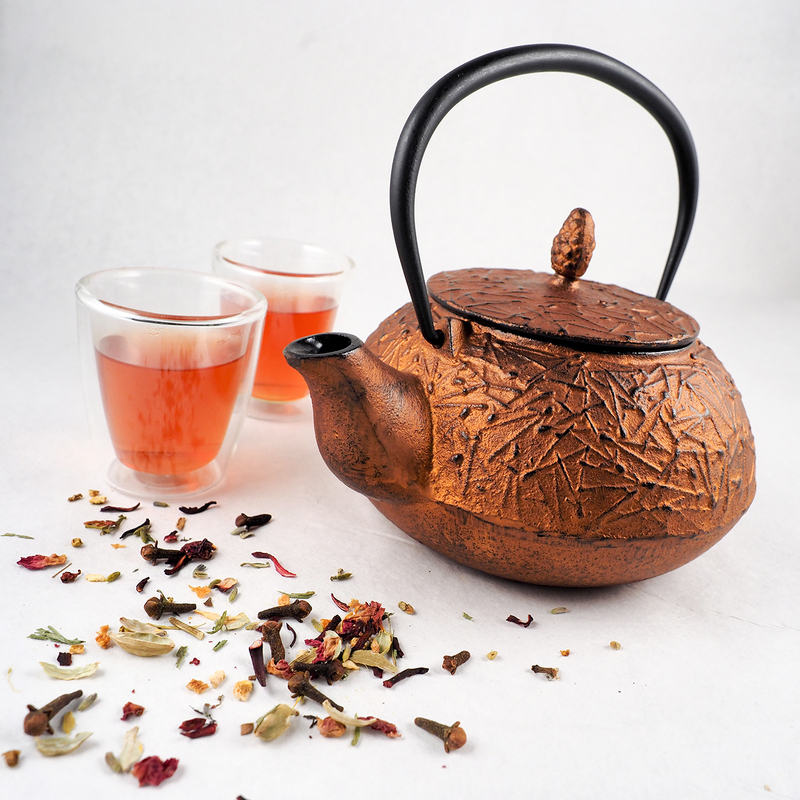 Homemakers searched their gardens and orchards for suitable herbs and fruits to fill their beloved teapots. They called these home brews Liberty Teas, which they steeped in a newly-named Liberty Teapot. 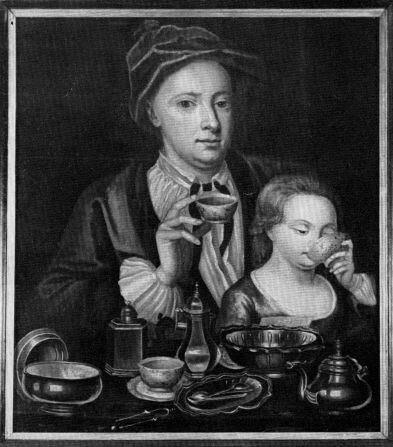 During the 1700s, the mint family was popular, along with bergamot, catnip and pennyroyal. Leaves of raspberry and strawberry, lemon balm, verbena and wintergreen were also favored. From the flower gardens came aromatic and colorful blends of blossoms of linden, elder, red clover, chamomile, violet and goldenrod. Other flavorings came from sassafras bark or the seeds of fennel and dill, while the addition of dried fruits, including strawberries, blueberries or apples, added a touch of sweetness. 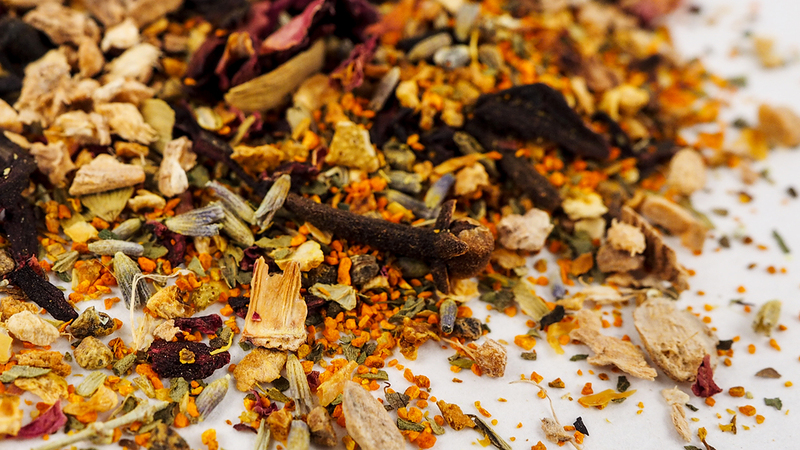 Turmerica, ginger, cloves, cardamom, lavender and orange blended together for a healthy caffeine-free drink. When it comes to preparation, herbals are usually very forgiving, which means they will not over steep or become bitter if you neglect them in the teapot. 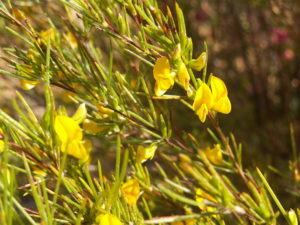 Herbals have always carried a healthy reputation, and consumers sometimes search for certain herbs to treat specific ailments. Be aware that while both teas and herbal infusions are considered part of a healthy lifestyle, tea merchants cannot substitute for a trained physician. But we can suggest that drinking herbals may lead to a calming effect that can settle a distraught mind as well as an upset stomach. Remember too that you won’t find tea’s touted antioxidants, such as EGCG, in herbals unless green tea has been added to the blend. 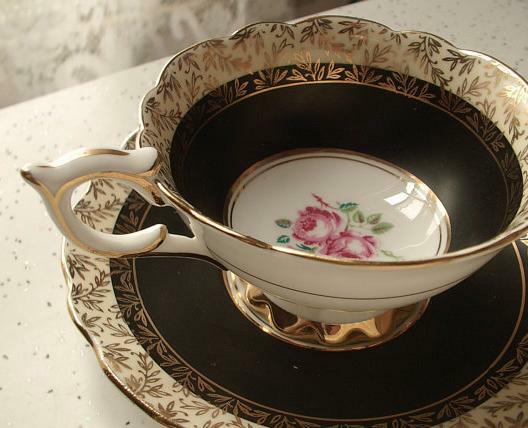 Whether you call them herbals or infusions, here are a few of the favorite caffeine-free tisanes found in teacups across America. Lemongrass, peppermint and French verbena are three common herbals that are, like true tea, made from plant leaves. Tea blenders often use these light and refreshing ingredients in blending, sometimes in combination with Japanese sencha green tea. Cardamom, fennel and anise are common seeds or spices used in herbal or Ayurvedic blends where they add dominant flavor notes to blends that are popular in India’s medicine and culinary traditions. 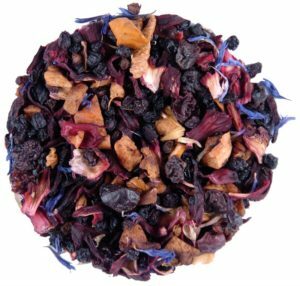 Chamomile, hibiscus, roses and lavender are all flowers that are extremely popular either in blends or steeped alone. From Ghana, the hibiscus flower is one of the most talked about tisanes today. This beautiful dried blossom yields a deep red liquor that is slightly tart and rich in vitamins A and C.
Ginger is a root herb that is being promoted by many health advocates today. Fresh or dried ginger makes a delicious tisane, especially in combination with other herbs such as lemongrass. Add it to green tea for a satisfying and healthy beverage, and serve it hot or over ice. Dried fruits too can make a rich and slightly sweet infusion. Many blenders begin with a base of dried apples and then add dominant flavor notes like blueberries, raisins, strawberries, kiwis or currants. It is impossible to overbrew these fruity concoctions and they work well as a hot or cold beverage. No added sugar is needed because the fruits provide their own natural fructose. If you’re looking to make children happy at their next tea party, serve one of these colorful infusions. And tell them it’s what colonial children drank after King George’s tea was tossed into Boston harbor!